We got the scoop from HomeGoods style expert Mike Harrison on everything you need to snag in order to get a jumpstart on decorating for fall. From a Western-inspired rug to faux plants that will appeal to anyone who’s ever struggled to keep an indoor plant alive, these picks will be flying off the shelves this year. Finding discount home décor—that doesn’t look it—is tricky to come by. Typically, you’re left scouring the discount aisle with a serious case of anything-will-do. You end up spending $10 on a cheap botanical print that you can’t return and inevitably end up selling for 50 cents at the church rummage sale. Enter, HomeGoods. The home décor giant with a loyal following knows a thing or two about elegantly dressing your home for the season without breaking the bank. 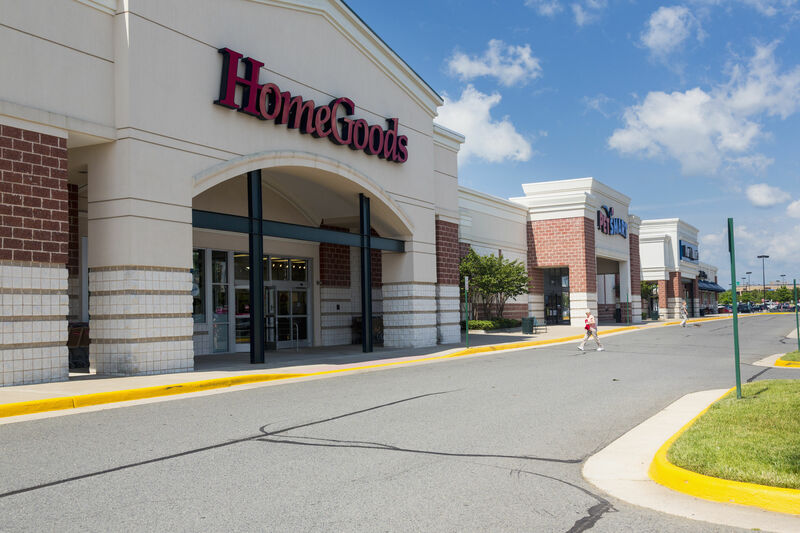 Each HomeGoods store has a unique stock of inventory, which means you need to hit the brick and mortar to take advantage of these finds. While all of our picks below won’t be available at every store, you will be able to find similar products and styles that might be even more at home when paired with what’s already stocking your shelves, dressing your mantel, and arranged on your table. Use HomeGoods’ fall collection to give your home a refresh for the season. Harrison gave us a tip that Western vibes are back in a big way this year. Add just a dose by layering this woven rug over your natural jute rug. It will give your space a warmer tone as the weather cools off. Whether you’re collecting toys, storing extra towels, or using it as a way to fill an empty corner, these bright bins will add a pop of color wherever you need them. Add a pop of bold metallic to refresh your space. This metal corkboard can effortlessly be swapped out for existing artwork in any space or give new life to a tired gallery wall.